What does International Women’s Day mean to you? To us, it means celebrating women in all their forms. Celebrating strength, celebrating kindness, celebrating choice and celebrating the freedom that we as women can now enjoy. For so many years, women were told exactly what to be. They were told what to wear, how to look and how to act and it’s genuinely shocking to think that it wasn’t until 1928 (a mere 91 years ago) that women were given the right to vote at the same age as men. We’ve not had that official ‘equality’ for long, but we are so grateful to live in a time, and a place, where women are being empowered to be exactly who they want to be. Finally, self-confidence and choice are being accepted by the majority but, there are still battles to face for women. Women still face judgement on decisions they make about their own bodies, and it often feels as though everyone feels they have a right to comment on a choice an individual makes about a particular treatment or procedure they personally would like to have. We know that women are strong enough to make their own choices; so today we celebrate freedom to choose. Whether that is a choice about work, home life, or a choice about appearance. There is so much stigma surrounding aesthetic treatments by many. But we say, why? Why shouldn’t women be allowed to choose exactly what they want to do with their own skin and their own bodies? The incredible advancements in aesthetic treatments have given so many women a choice. A choice to take control of how they look for their own self-confidence. It isn’t about looking good for anyone else but about being happy in your own skin. 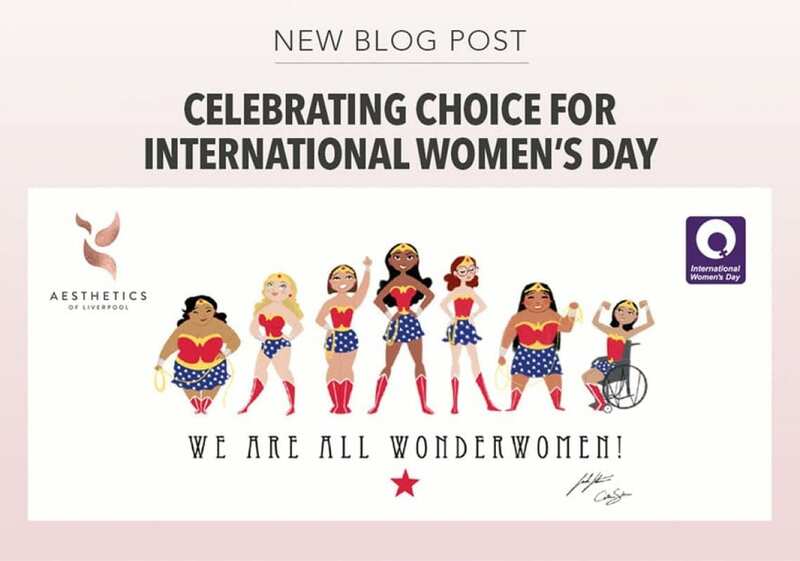 So, we are celebrating International Women’s day here at Aesthetics of Liverpool by looking at three clients who have taken control of their bodies and are enjoying increased confidence and happiness in their everyday lives because of it. For many women, achieving a rounded, fuller bum through workout and diet alone just isn’t possible. No amount of squats will give them the peachy bum they would love to have, and we think it’s incredible that aesthetics have developed to allow women to enjoy the curves they have always wanted to have through buttock augmentation. At Aesthetics of Liverpool, we offer a non-surgical Brazilian Bum Lift which works to add volume and shape without having to go under the knife. A non-surgical Brazilian Bum Lift combines Cellulite Treatment, Cavitation and Radio Frequency, to travel painlessly through the bodies layer of subcutaneous fat, erasing unwanted fat cells and tightening loose sagging skin. The combination of technologies eradicates between 20-40% of fat cells and allows them to be naturally flushed from the body. The treatment leaves the skin looking smoother, lifted and toned. Blood circulation in the treatment area is increased, and muscles are left feeling noticeably firmer. Power to this incredible young lady who has taken control of her body and is enjoying increased confidence and happiness! We know that issues with skin are one of the most significant reasons women struggle with their confidence. Whether it’s acne, scarring, a blotched or pigmented tone it can really knock self-esteem. We are experts at skin care, and we know we can help you choose treatments that will celebrate your skin and give you your glow, and smile back! 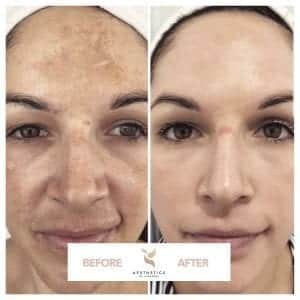 The Cosmelan peel is a unique, multi-ingredient chemical treatment that can reduce the unwanted appearance of blemishes and dark spots. As pigmentation issues are related to the production of melanin in the skin, the Cosmelan Peel works to decrease the skin’s natural melanin production. It works by preventing specific enzymes such as Tyrosinase which is needed for the production of melanin. This works to result in a blemish-free, even complexion. 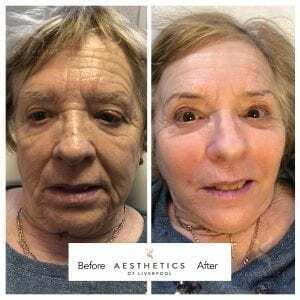 So, if your skin has been getting you down – say no! Make a change today! Last, but not least is this before and after of a lovely lady who came to see us about improving her skin. Our expert clinicians were able to create a bespoke range of treatments to suit her and this is the result of months of delicate work. We think she looks at least 10 years younger – and good for her! Why should we be told to ‘age gracefully’? What if we want to feel beautiful, sassy and confident even though we are getting older? We say take control of how YOU want to look and do what makes YOU happy! How can I book my consultation? Women of the world, get in touch today for professional, friendly advice. We will work closely with you to carefully select the best treatment choice to help you get started on your journey to feeling like the best version of you.